O.S. six-inch map denotes 'Ancient Burying Ground' and 'Chapel (Site of)' at site of the chapel of Moymurthy, dedicated to St. Peter. Moymurthy was a chapel of ease belonging to Moorechurch O1369 : Medieval parish church, Moorechurch. In 1693 the chapel was reported as 'ruind since 1641'. The triangular enclosure is surrounded by a bank. 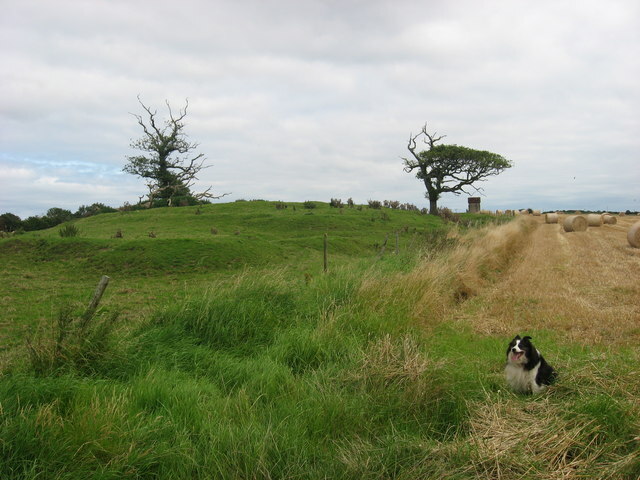 On top of the plateau, between two oak trees, the foundations of the chapel are still visible on the ground.